The Russian tabloid website Life.ru has published a video allegedly showing a rocket misfire by a Ka-52 attack helicopter during a training exercise. The rocket hit a truck on the ground. The incident came to light on Tuesday after footage of the misfire was published online. The Russian military declined to disclose when and where it happened, but denied reports that it was during the ongoing Zapad-2017 exercises. 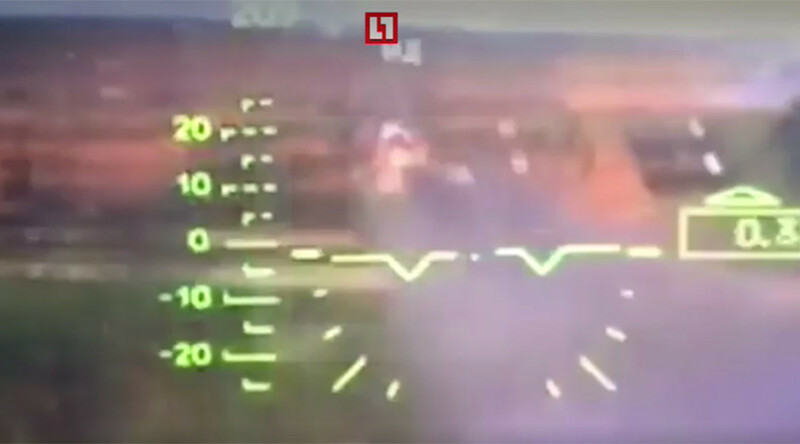 Life.ru also published footage, which it says shows the same incident from the ground and which differs from the original video published online. It shows that the rocket fired by the gunship hit a military truck which had an antenna. Another video published on a military-related page on VKontakte social network apparently shows the aftermath of the rocket hit. The military truck and a car parked nearby appear to be damaged.